for cost estimating and data mining. create operating synergy between the various jobs and functions, streamline and professionalize the costing and quotation activities. 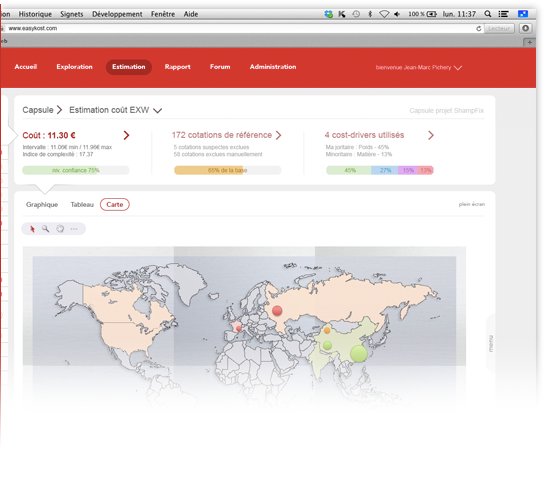 New interface, new architecture, new functions. Experience with the previous version made it possible to develop the easyKost software in order to increase its performance and integrate even more powerful and operational calculation functions. 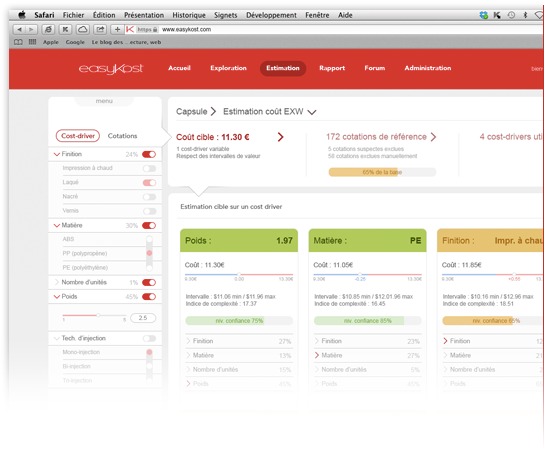 The new version of easyKost includes expert systems that make it possible to give the software intelligence to facilitate its use and your decision-making process. This is the case, for example, for reverse costing, which allows you to determine cost-driver values automatically to achieve a defined cost value. This function is coupled with a scenario generator to consider different hypotheses and thus propose several possible configurations. Another integration is based on the automatic identification of the most pertinent cost-drivers to use to estimate the cost of a product or service. Furthermore, this function makes it possible to define the level of correlation between the different cost-drivers and to determine immediately the ones that are the most strongly correlated. Or to detect suspicious quotations and discard them in order to avoid any interference with the estimation calculations or to alert you about control and validation points. This is translated by the integration and the conversion of static data representation, such as graphics, into “dynamic” and “interactive” elements to make them decision-making tools. It is therefore possible, with regard to all of the estimating or exploration graphics, to interact intuitively, for example by zooming in and out with localization windows and querying quotations through customizable tooltips, etc. This redesign also made it possible to integrate new elements like cartographic representation, which allows immediate and instantaneous data reading incorporating the concept of localization. Information sharing and data integration functions have been added and improved in this new version. The quotation data import module has been re-engineered to facilitate and limit the upstream work necessary to load product family data. This is expressed by the integration of an import assistant and data prioritization and processing functions that make it possible to detect the types of data. During import, a data cleaning and duplicate removal system makes it possible to obtain a “clean” base for optimal use. As for information dissemination, the export formats for communicating easily with other software have been enriched, and easyKost-specific functions have been integrated. 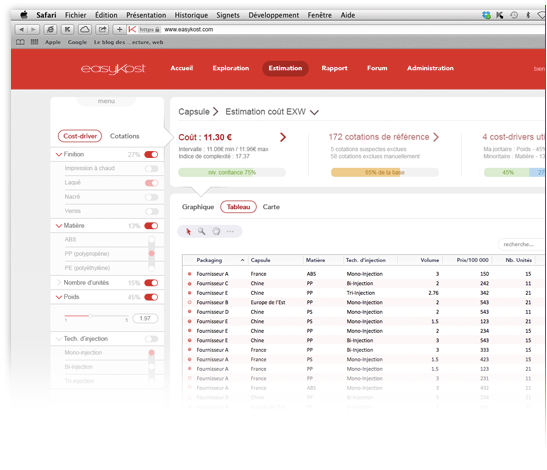 So it is now possible, directly from the easyKost platform, to generate and exchange estimation reports, quotation assumptions and exploration results. Explore all the easyKost functions by downloading the brochure. Stay informed about new products and events by signing up for the newsletter. 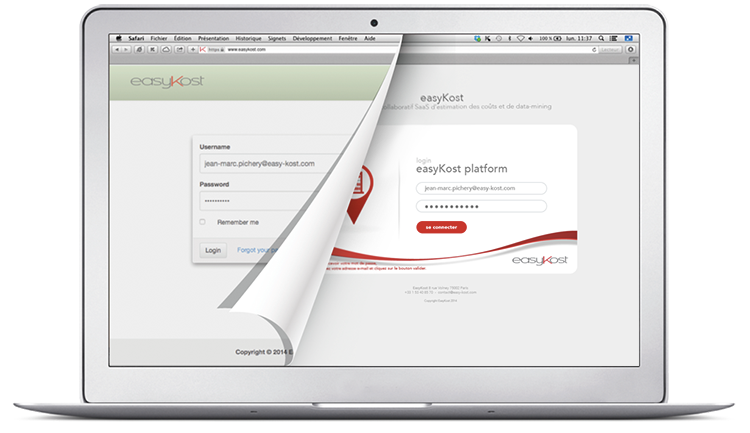 Make an appointment or register for one of our breakfasts to get an easyKost demonstration.